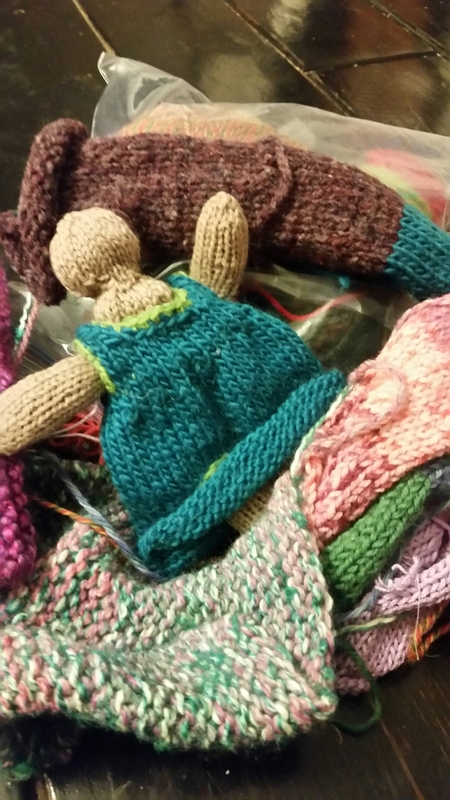 A quick look in the craft closet reveals so many projects already started. I touched all of the knitting today and am convinced in this moment that I really do want to finish all of these. All of these and the fourteen pairs of socks still in skein form. Dubline Cardigan from the Knit Picks collection Celtic Journey. 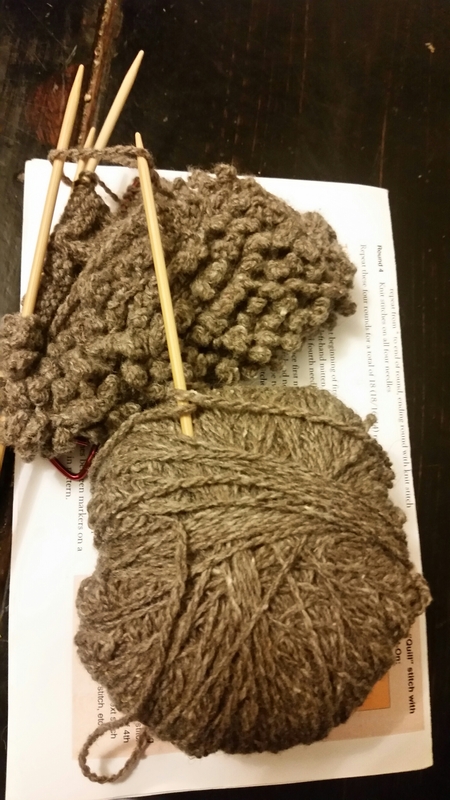 I haven’t been able to settle on the perfect yarn yet. Swatching between other projects. I am daydreaming about wearing this to Rhinebeck next year. Ocracoke Cardigan from Interweave Knits Summer 2014. 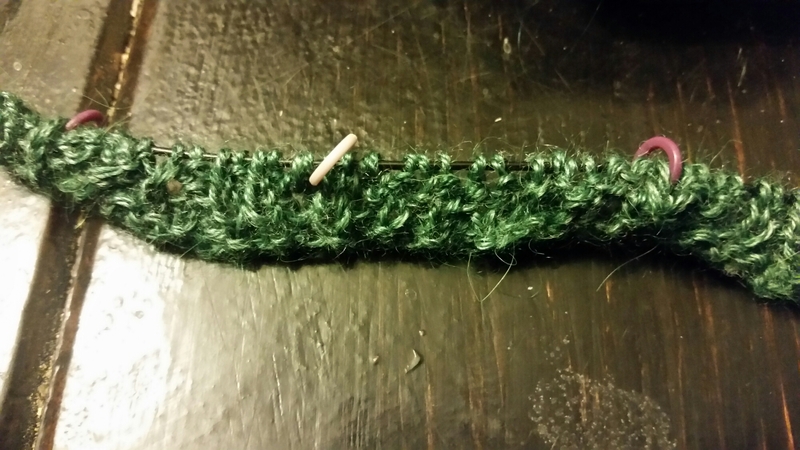 I’ve started this three times and struggled with gauge. The yarn is just right and I love the color. Even though I’m only three rows in, I want to get back to this one soon. Susan B. Anderson’s Princess and The Pea doll and mattress set from Itty Bitty Toys. Once I choose hair, this should finish up quickly. Maybe an afternoon of mattress making and an hour for the pea pod. This will be an excellent addition to the emergency present stash. Roxy Fox and Pups were meant for Lady Bug when she was three. She is now ten. Maybe I can sneak it in for her high school graduation. 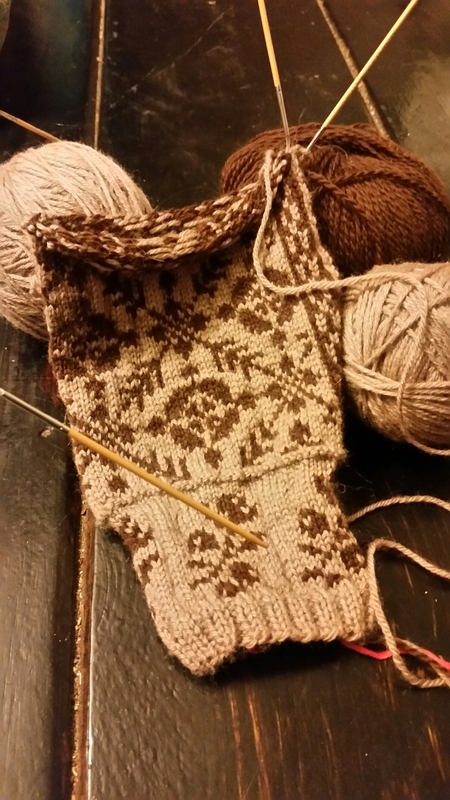 The Daddy Long Legs Mittens from Norweigan Handknits have been a delightful jump into a new skill. I am loving the colorwork on these. These Hedgehog Mitts came to me partially finished. 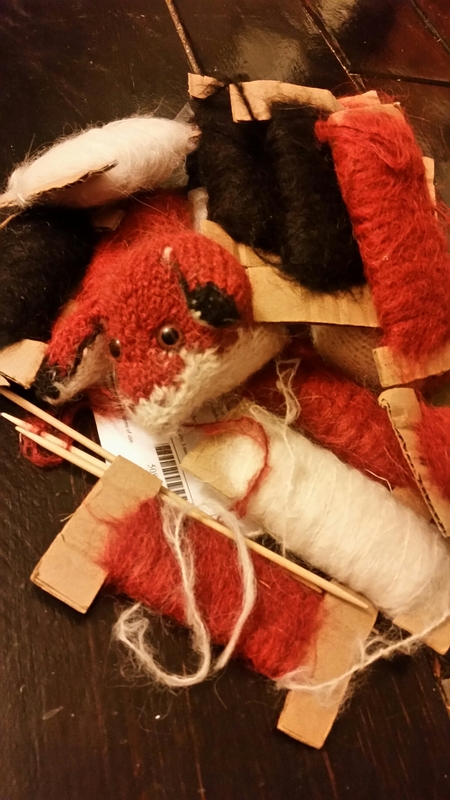 Unfortunately, there is not enough yarn in the kit to complete them. Anne Girl came to the rescue with yarn from her stash. These will be a gift. I’ve not done fussy textured knitting before. Here’s hoping it keeps my interest long enough to finish! And lastly, some plain vanilla socks for the Kettle Slayer. I don’t have enough of the blue to finish these as a matching set. I’m on the lookout for one more skein of Mission Falls 1824 in colorway 21. 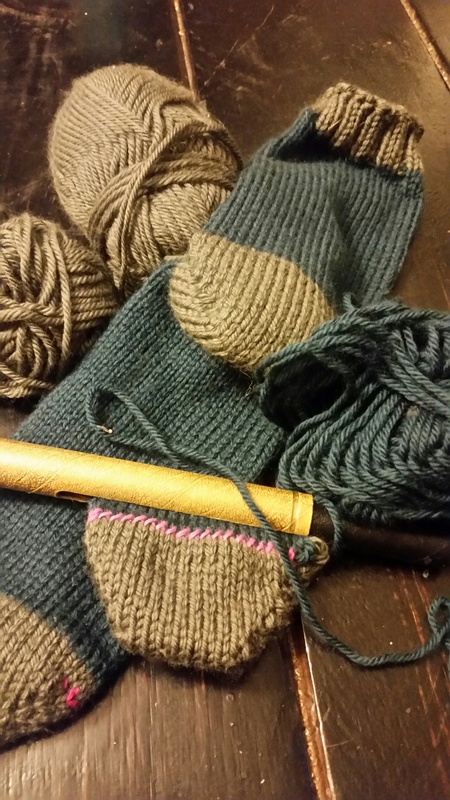 Otherwise, the second sock will end up mostly green. He won’t mind. 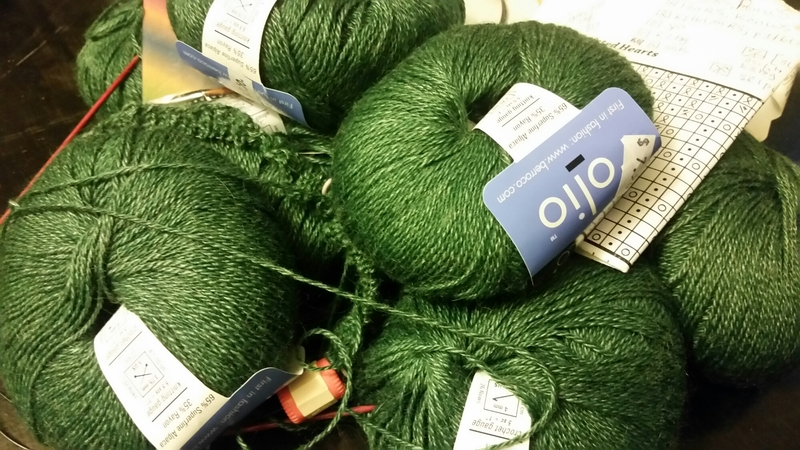 This winter promises to be good for knitting. And for finishing.